Momentum provides collection services for glass, mixed recyclables and green waste (fruit and vegetable residuals and yard waste), and we deliver materials to responsible material recovery facilities or end users in the Salt Lake Valley. To complement our collection services, Momentum Recycling organizations maximize recycling efforts by identifying the recyclable materials in their waste streams through comprehensive waste audits. 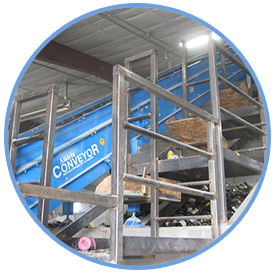 We then design low-impact and intuitive systems for capturing these recyclables and offer consulting on purchasing and material use practices. This results in more materials being diverted from the landfill to recycling destinations. 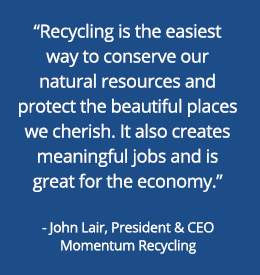 Momentum Recycling helps clients educate employees, clients, residents and guests about what can be recycled, how to recycle and why recycling is important. All clients receive unique quarterly diversion rate reports. These reports deliver monthly weight and volume estimates for the materials collected at the client’s location, as well as feedback on contamination and recommendations for changes to service. 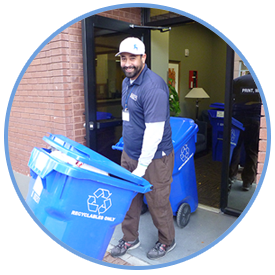 From clear and effective signage on bins, to newsletters, to short informational sessions in the workplace, Momentum uses a wide array of tools to educate clients on recycling issues. Lastly, Momentum sets aside $1 for every ton of glass collected in Salt Lake City to doing public education and outreach. 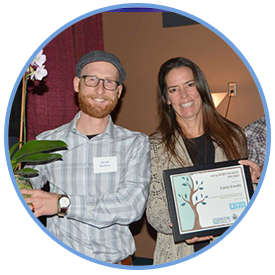 Momentum Recycling promotes clients’ recycling efforts in the greater community through our social media channels and in client profiles highlighting their hard work and leadership in recycling. Momentum also provides free signage for clients to post at their locations conveying their waste diversion efforts.